I'm a student of Government Law College. I do not consider myself smarter or better anyway then my other colleagues. I make this blog as one place where all may share their respective views. I welcome contribution of legal/law-related posts from any of my readers. When in doubt, refer to the first two points. Submission Guidelines: Font type- Times new Roman. Font size 12, Double-spacing, One inch margin on each side. Word limit: 500-1500. To be attached to an e-mail addressed to mowingthelaw@gmail.com along with a cover sheet containing your personal details and an authorization letter allowing me to publish your contribution on my blog and a statement that you will not have it published anywhere else ONLINE. However, publishing in a journal, magazine, etc. or submitting for any competition is permitted. 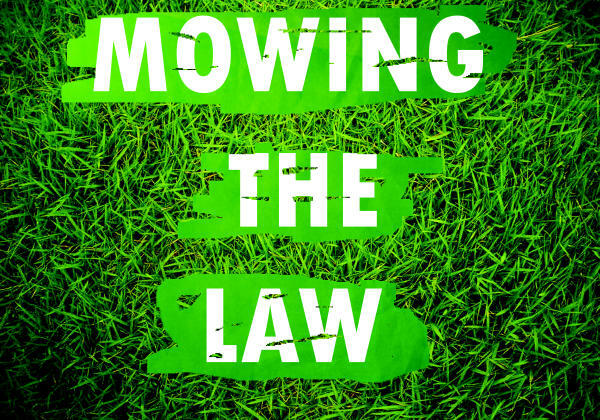 Subject of the e-mail should be 'Submission-Mowing the Law'. If you wish to remain anonymous kindly mention it in the body of your e-mail. Rest assured your details will be safe with me. Contributions can range from essays, book reviews, case notes to even legal satire. Footnotes are usually discouraged in blogs. But I for one encourage it. Thank you for your time! Hope you make the most of my legal blog. If you have an Indian legal blog of your own then do let me know. I am an avid reader of Legal Blogs written by Indian Law students. And those are some of the best legal blogs, even better than those written by professional lawyers!